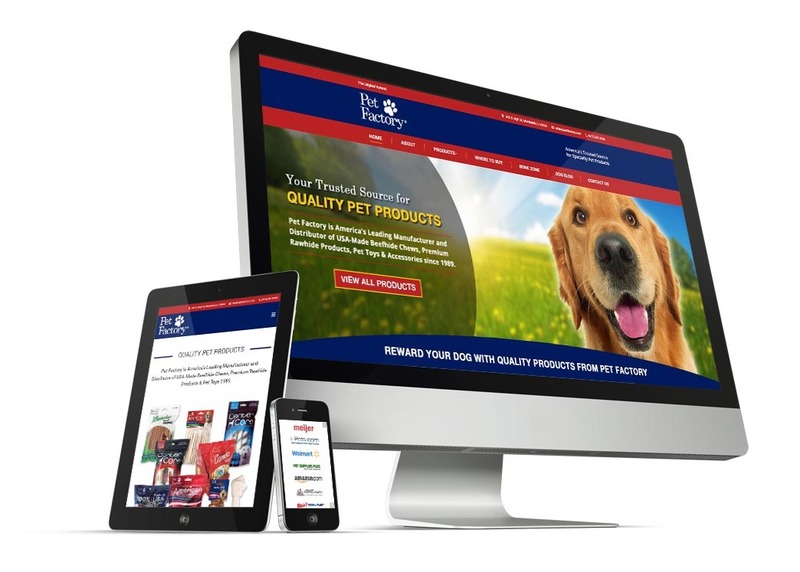 Pet Factory, the market leader providing innovative quality rawhide chews, pet toys and accessories, announced today the launch of its newly revamped website. This newly redesigned website offers quick and easy access to essential information about the their 100% USA made rawhide chews for dogs, as well as their extensive line of top quality, globally sourced rawhide products and pet supplies, including toys and accessories. Welcome to the new and improved Pet Factory Website, home of the “Original Natural”. We hope you enjoy spending some time browsing and learning about Pet Factory, our programs and the benefits of Rawhide Chews. We have spent the last few months developing this new look and updating the content to better communicate our products and programs with the pet parents who use our products. An updated “ABOUT US” page and our commitment to quality. The FAQ section now known as the “BONE ZONE” is completely new with a great deal of important, factual information about rawhide chews. Our new “PRODUCTS” area that shows some of our programs for our newly designed 100% Made in USA rawhide program and American Beefhide program, our new Logical Pet Toy program and our market leading holiday program. We hope you enjoy our new website and check back often as we continue to update with new information.